E-cigarettes do not burn tobacco as per traditional cigarettes; they work by heating a solution to create a vapour which is usually thicker and more noticeable than smoke, but smells more pleasant and dissipates quickly. 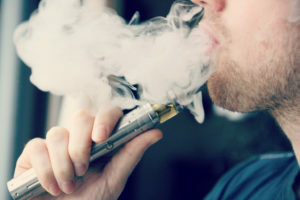 The action of smoking is known as ‘Vaping’, and the majority of Vapers (the electronic devices that deliver the chosen solutions) use e-liquids. However, other materials may be used including waxy concentrates and dry herbs. E-liquid solutions are usually thick and colourless, containing propylene glycol and/or glycerine, various flavourings and varied concentrations of nicotine. E-cigarettes retain the name cigarette as the liquids that are vapourised contain nicotine, the same addictive chemical found in tobacco. 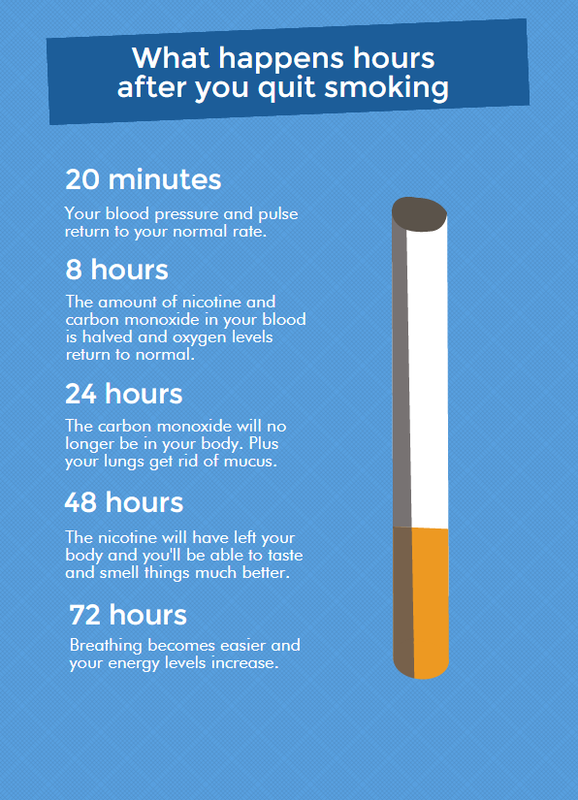 The NHS UK support the use of e-cigarettes as an aid to stop smoking, as the vapour provides less health risks compared with smoking tobacco cigarettes. E-cigarettes are still fairly new and a thorough understanding of their long-term health implications will not be clear until they have been in use for a longer period of time. What is known is that e-cigarettes do not produce tar and carbon monoxide two of the main toxins in conventional cigarette smoke. The vapour from e-cigarettes has been found to contain some potentially harmful chemicals as found in cigarette smoke, principally formaldehyde; however the levels are much lower. The risks of cancer appears to be much lower than with tobacco smokers, but information regarding heart disease remains unclear. Non-smokers are advised not to use e-cigarettes believing they are safe, but smokers may wish to use them as a better alternative to smoking tobacco . The Public Health England (2015) report on e-cigarettes states that there is no risk of nicotine poisoning if e-cigarettes are used as intended; vaping as opposed to ingesting the substances. Anyone who overindulges in vaping, much like a person who smokes too much, is likely to feel nauseous but suffer no acute incident. E-cigarette exhalations contain around eight times less nicotine and substantially less chemical emissions than cigarette exhalations. The leading concerns surrounding children and young people involve the appealing flavour of the liquid. It is essential that all packaging remains childproof so that children do not accidentally drink the liquid; whilst fatal outcomes are minimal, nausea and vomiting is likely to ensue and parents are advised to bring children straight to hospital if they believe accidental poisoning has occurred. E-cigarettes must provide the warning statement ‘this product contains nicotine which is a highly addictive substance’. E-cigarettes must be child-resistant, with a mechanism that ensures refilling without spillage. 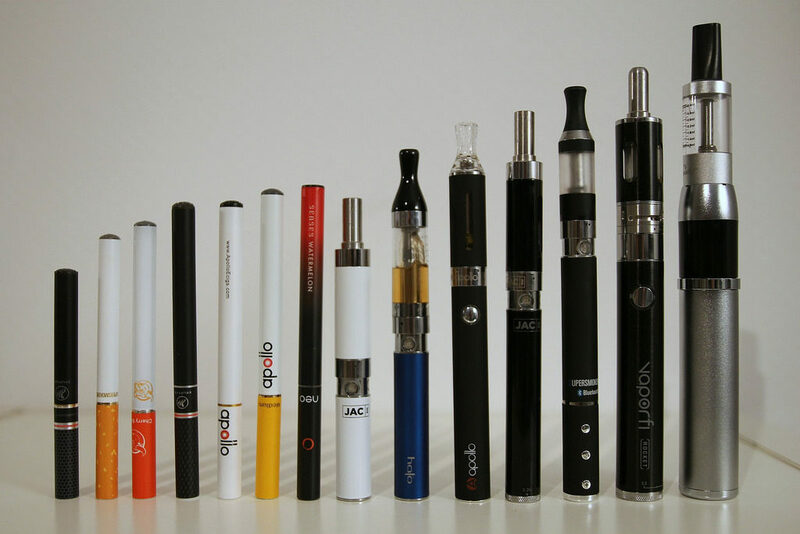 E-cigarettes tank sizes can be no more than 2ml and the nicotine strength of liquids to no more than 20mg/ml. Cigarettes and Roll Your Own (RYO) tobacco may no longer have flavours such as menthol, vanilla or candy that mask the taste and smell of tobacco. For more information see UK Government and/or EU Guidance. What is in tobacco smoke?